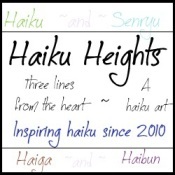 I loved the third haiku , an eternal truth ! We both appear to like coffee….well done..
am a coffee lover too and beautiful haiku set. Nice Haiku.I can smell the fresh fruits.